Seasonal depression is a real thing – it’s normal to feel those wintertime blues as the cold months drag on for what feels like forever. This is especially true if you live up north in Canada where the winters are long, brutally cold, and have no end in sight. This is why many Canadians find some relief from those nasty winter months by taking a hit of some potent tropical tasting weed – it might be the only way to feel like you’re taking a trip to the beach! 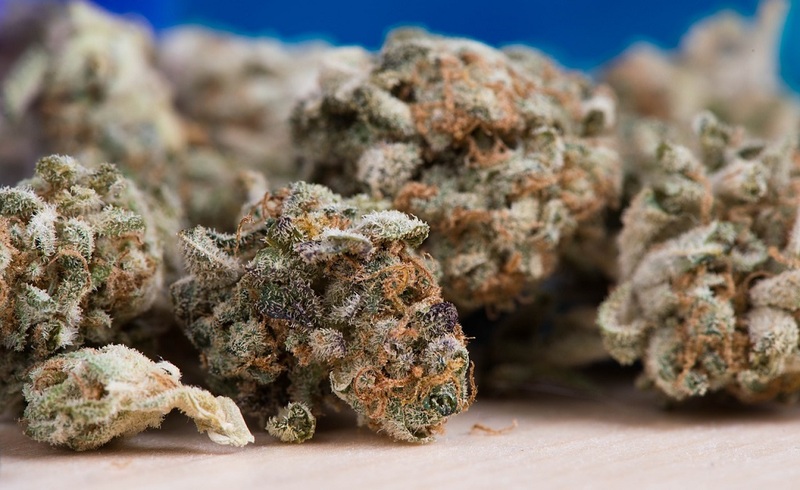 Canadians who grow their own weed for recreational and medical purposes – check out how to learn more about getting a medical license to grow – often pick strains that hint towards the tropics, especially during the winter months. Whether or not you are growing or just smoking weed this winter, consider giving these tropical-tasting weed strains a try! This strain has an impressive lineage, taking qualities of its ancestors including Girl Scout Cookies, OG Kush and Durban Poison. It possesses qualities from each of these, giving the effects of a happy euphoric high but also allowing its users to catch up on some much needed z’s. Although the high it leaves you with is pretty amazing, the taste is even better. When smoked it lets off a citrusy aroma mixed with sweet berries that will surely remind you of summertime. Fruity Pebbles OG is exactly as it sounds – fruity! Its yummy taste pairs well with the stress-relieving qualities you’ll experience why you smoke it. The downside – it may be hard to find since it was a limited edition strain from the breeder, so consider yourself lucky if you get your hands on this stuff. Who doesn’t love chowing down on a fresh-cut pineapple while enjoying a day at the beach? Or even better, sipping on an ice-cold pina colada? Why not take your imagination beachside by lighting up some of the Golden Pineapple strain. It is a cross between Pineapple Kush and Golden Goat and is known to help treat depression and anxiety disorders. Perfect for curing that seasonal depression, bad moods, and any stress you might have in your life this wintertime. The name Maui Wowie makes this strain just sound like it would be a fun one to smoke. Take an imaginary trip to Hawaii by lighting up a joint of this stuff. It was originally grown on the volcanic soil of the Hawaiian islands, so you know it’s gotta be good since it was grown on some of the most nutrient-dense land. The flavors are a mix between earthy and sweet with pineapple undertones. Island Sweet Skunk ranks high among cannabis lovers especially those trying to get over the wintertime blues. It leaves you feeling energetic and full of life giving a nice full-body buzz that is perfect for staying warm from the cold. The flavors are a nice combination of sweet and skunky with the mildest hints of grapefruit.